Geodesic based tractography on diffusion magnetic resonance data is a method to devise long distance connectivities among the brain regions. In this study, cellular automata technique is applied to the geodesic tractography problem and the algorithm is implemented on a graphics processing unit. 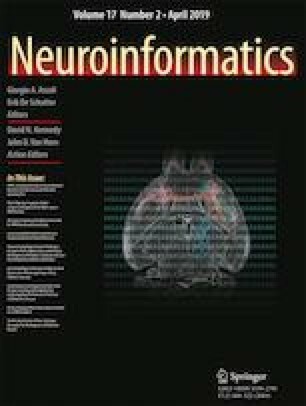 Cellular automaton based method is preferable to current techniques due to its parallel nature and ability to solve the connectivity based segmentation problem with the same computational complexity, which has important applications in neuroimaging. An application to prior-less tracking and connectivity based segmentation of corpus callosum fibers is presented as an example. A geodesic tractography based corpus callosum atlas is provided, which reveals high projections to the cortical language areas. The developed method not only allows fast computation especially for segmentation but also provides a powerful and intuitive framework, suitable to derive new algorithms to perform connectivity calculations and allowing novel applications. This work was supported by the Scientific and Technological Research Council of Turkey (TUBITAK) (Project No: 116E407). Data were provided by the Human Connectome Project, WU-Minn Consortium (Principal Investigators: David Van Essen and Kamil Ugurbil; 1U54MH091657) funded by the 16 NIH Institutes and Centers that support the NIH Blueprint for Neuroscience Research; and by the McDonnell Center for Systems Neuroscience at Washington University. The DTI atlas of corpus callosum was available online, provided by Natbrainlab (http://www.natbrainlab.com). The author thanks Umut Sarı for editing the text, Zeynep Fırat for helpful comments and Microsoft company for providing access to the Azure infrastructure.